This is a condition where there exists a minimum amount of material within the given dimension tolerance zone. 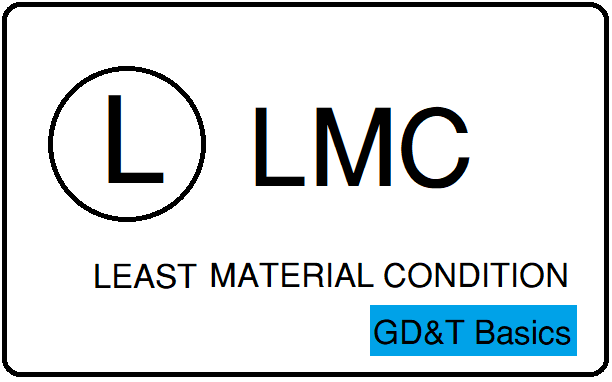 LMC is fairly rare inGD&T. The reasons to call out the LMC is close/interference between the two mating parts. 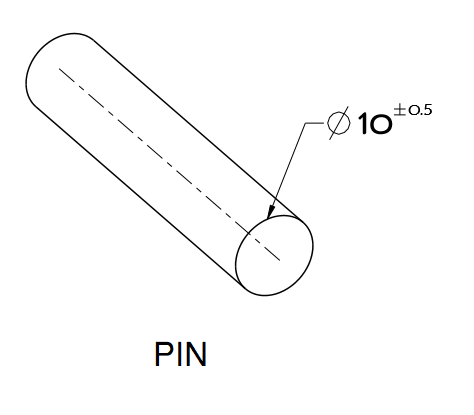 A pin always tight fit into a hole, when the pin is in the LMC condition. 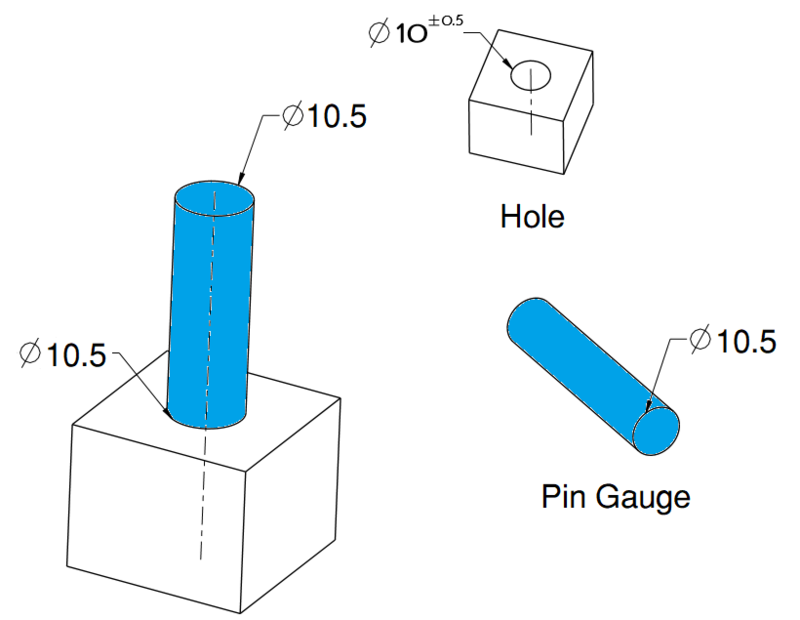 So that we need to design the Hole Gauge for the pin. so this hole gauge controls the Least material condition for the pin. this gauge is called No-GO GAUGE. 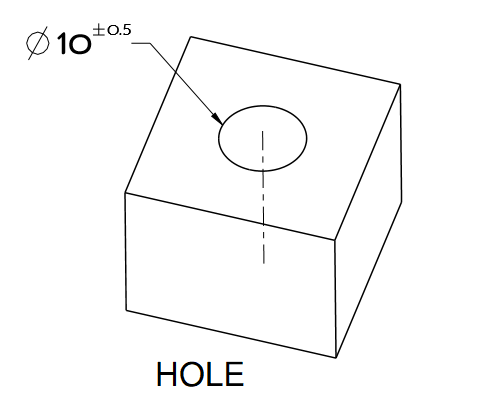 The Hole gauge is having the diameter same as the Pin maximum diameter(Ø). The No-Go Gauge would be designed ~2µm smaller to make up for any error. We can not use GD&T with the No-Go Gauge. a pin always tight/press fits into a hole when the hole is at LMC So that we will design the Pin Gauge for the HOLE. so this pin gauge controls the Least material condition for the hole. The Pin gauge is having the diameter same as the Hole maximum diameter(Ø). The No-Go Gauge will be designed ~2µm larger to make up for any error. Where can we apply Least Material Condition? LMC is rarely used and will not combine with the GD&T tolerances, due to Unable to accurate gauge for size and geometry tolerances. When there is no call out to Maximum Material Condition or Least Material Condition, the part, by default, is measured regardless of feature size (RFS).